On a recent trip to Austria, I encountered a “brand new” detox technique called oil pulling, which actually borrows heavily from ancient Indian texts and can be easily done at home – no spa required! No wonder most of Hollywood’s leading ladies – including Gwyneth Paltrow and Shailene Woodley – are great fans. Also known as ‘oil gargling’, oil pulling is simply the process of taking an unrefined vegetable oil (such as coconut oil, sesame oil, olive oil or sunflower oil) and using it as a mouthwash that “pulls” out toxins from the teeth and mouth. It first finds mention in the Charaka Samhita, one of the three great classics of Ayurveda, written in 400-200 BCE. 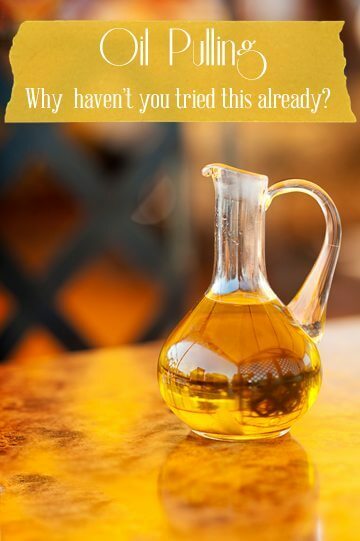 In the morning, on an empty stomach (before breakfast) pour half to one tablespoon of oil into your mouth. Traditionally, Ayurvedic texts advocate using sunflower or sesame oils. However, if these are not available, you can try coconut oil or olive oil. And although people have used all different grades of oil, I would recommend using organic, unrefined, cold pressed oil. Have never heard of this…sounds interesting and with so many benefits, great! are you trying it out?? 20 minutes is a long time to add to my aready packed morning routine, but this could be a good part of a nighttime ritual. Am not sure about that… you are supposed to be doing this only on an empty stomach!! like most natural medicines, the results of oil pulling are cumulative and may take some time to show up visibly. This is fascinating – I’m a big fan of oils for so many things! But is that really supposed to say 15-20 minutes!? That’s a whole lot of swishing! The time would start reducing as you go along and the system becomes less toxic! yup… till it runs clear. Hi, I love the way you write. I have been doing oil pulling with sesame oil ( cold pressed from Kama ) . Oil pulling is amazing my mouth feels fresh the entire immaterial of whatever I have. No more bad breath . This is the only benefit I have noticed up till now. I have been doing this from past two weeks . Love you. I’ve been doing this ever since I read this article and I swear I’ve been sleeping better ever since. It’s amazing! Thanks so much.